Our warm chewy Oatmeal Raisin Cookies are the best ever. With plump juicy raisins, a hint of cinnamon and a dash of sweetness I bet you can’t eat just one. 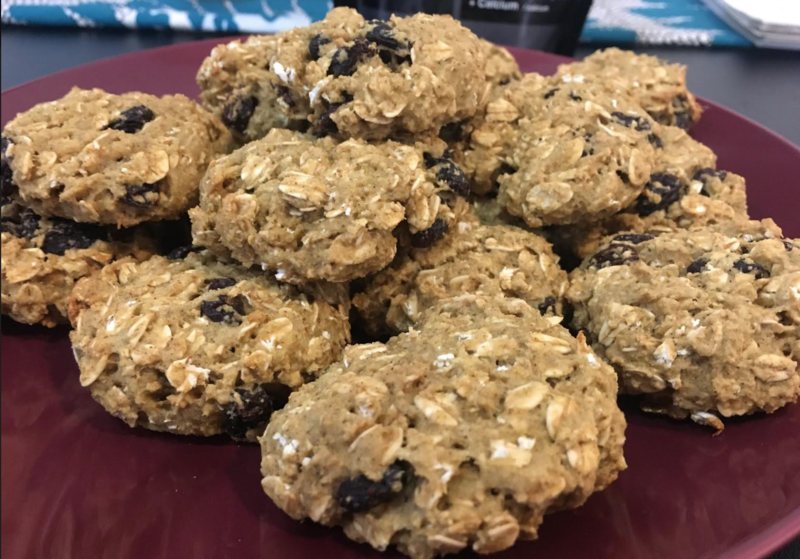 Made with simple ingredients our recipe for Oatmeal Raisin Cookies will have you feeling energized because of the nutritional value of Complete Truth Protein. We don’t use conventional flour, refined sugar, butter or oil. These little bites of heaven are completely healthy. Have them for a snack in the middle of the day to boost your energy level and crush sugar cravings. They are so healthy you can even grab a couple on the way out the door on a busy morning. Breakfast on the go. A recipe you can feel comfortable giving to your kids to take to school. No guilt with these gems. Healthy and delicious. What more could you ask for. In a large bowl combine CTP, rolled oats, raisins, baking powder, baking soda and cinnamon. In a medium size bowl mix apple sauce, honey, almond milk and vanilla. Pour This mixture into the large bowl with all the dry ingredients. Stir until batter is well combined. Using a tablespoon, spoon a heaping spoonful of batter onto the cookie sheet. 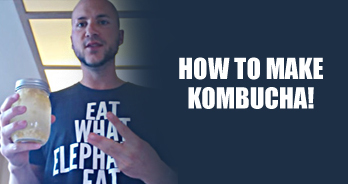 Roll into balls and flatten with a fork. The cookies won’t expand very much in the oven. The size that they are when they are raw will be practically the same size as when they are cooked. Place in oven and bake for 10-12 minutes or until golden brown on the bottom. 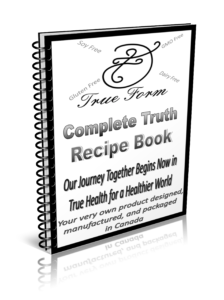 For more healthy recipe just like our Oatmeal Raisin Cookies download our FREE recipe e-book here. 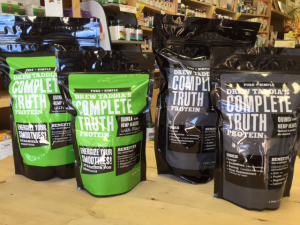 To purchase Complete Truth Protein or for more information click here.